Kane & Abel for a new generation!! They had only one thing in common - William Lowell Kane and Abel Rosnovski, one the son of a Boston millionaire, the other a penniless Polish immigrant. Two men born on the same day on opposite sides of the world, their paths were destined to cross in the ruthless struggle to build a fortune. The marvellous story, spanning 60 years, of two powerful men linked by an all-consuming hatred, brought together by fate to save - and finally destroy - each other. Charlie Trumper's earliest memory is of hearing his grandfather's sales patter from behind his costermonger's barrow. When Grandpa Charlie dies, young Charlie wants nothing more than to follow in his footsteps - his burning ambition is to own a shop that will sell everything: 'The Biggest Barrow in the World'. Charlie's progress from the teeming streets of Whitechapel to the elegance of Chelsea Terrace is only a few miles as the crow flies. Danny Cartwright and Spencer Craig were born on different sides of the track. Danny is an East End Cockney mechanic, Spencer is a West End barrister. When they meet, their lives will never be the same again. 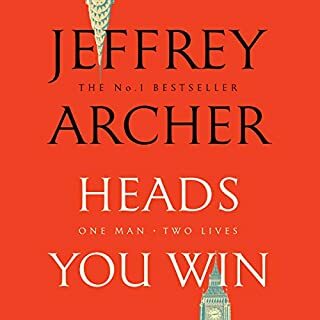 Heads You Win is the incredible and thrilling novel by the master storyteller and best-selling author of the Clifton Chronicles and Kane and Abel, Jeffrey Archer. Leningrad, Russia, 1968. Alexander Karpenko is no ordinary child, and from an early age, it is clear he is destined to lead his countrymen. But when his father is assassinated by the KGB for defying the state, he and his mother will have to escape from Russia if they hope to survive. When an aristocratic old lady is brutally murdered in her country home the night before 9/11, it takes all the resources of the FBI and Interpol to work out the connection between her and the possible motive for her death - a priceless Van Gogh painting. It's a young woman in the North Tower when the first plane crashed into the building who has the courage and determination to take on both sides of the law and avenge the old lady's death. Adam Scott listens to the reading of his father's will, aware that the contents can only be meagre. The Colonel, after all, had nothing to leave - except a letter he had never opened himself, a letter that can only bring further disgrace to the family name. Against his mother's advice, Adam opens the letter, and immediately realizes his life can never be the same again. The contents leave him with no choice but to follow a course his father would have described as a matter of honour. great performance from John Lee, as always. This is the story of a man who loved two women, and one of them killed him. Some people have dreams that are so outrageous that if they were to achieve them, their place in history would be guaranteed. Francis Drake, Robert Scott, Percy Fawcett, Charles Lindbergh, Amy Johnson, Edmund Hillary and Neil Armstrong are among such individuals. But what if one man had such a dream, and when he'd achieved it, there was no proof that he had fulfilled his ambition? One million dollars - that's what Harvey Metcalfe, lifelong king of shady deals, has pulled off with empty promises of an oil bonanza and instant riches. Overnight, four men - the heir to an earldom, a Harley Street doctor, a Bond Street art dealer and an Oxford don - find themselves penniless. But this time Harvey has swindled the wrong men. They band together and shadow him from the casinos of Monte Carlo to the high-stakes windows at Ascot and the hallowed lawns of Oxford. Didn't quite work on audio. In the 1960s, four ambitious new MPs take their seats at Westminster. Over three decades they share the turbulent passions and upheavals of the race for power with their wives and families, men and women caught up in a dramatic game for the highest stakes of all. But only one man can gain the ultimate goal - the office of Prime Minister. It is Greenwich, Connecticut, in the early 1950s, and a set of twins is separated at birth by a desperate nurse. Nat Davenport goes home with his parents, a schoolteacher and an insurance salesman. But his twin brother is to begin his days as Fletcher Cartwright, the son of a wealthy CEO and his wife. 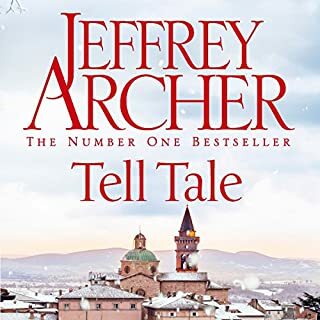 Nearly a decade after his last volume of short stories was published, Archer returns with his eagerly awaited, brand-new collection, Tell Tale, giving us a fascinating, exciting and sometimes poignant insight into the people he has met, the stories he has come across and the countries he has visited during the past 10 years. These 12 yarns are so satisfying because they are ingeniously plotted, include richly drawn characters, and have deliciously unexpected conclusions. They feature the mad, the bad, and the dangerous to know, as well as some more poignant and telling characters. In a time when desperate people were seizing with both hands the chance for freedom, refugees from more than 70 nations gathered beneath the Southern Cross to forge a new national identity. They came from all over war-torn Europe to the mountains of Australia to help realise one man's dream: the mighty Snowy Mountains Hydro-Electric Scheme, one of the greatest engineering feats of the 20th century. 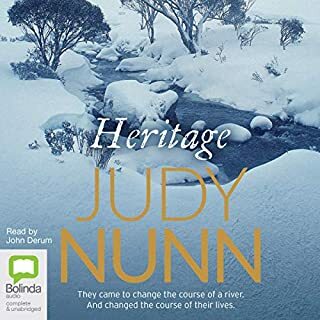 People of all races and creeds tunnelled through a mountain range to turn the course of a majestic river, trying to put to rest ghosts from the inferno of history: buried memories, unimaginable pain and deadly secrets. The story of the love affair between Wallis Simpson and King Edward VIII, and his abdication in order to marry the divorcée, has provoked fascination and discussion for decades. However, the full story of the couple's links with the German aristocracy and Hitler has until now remained untold. 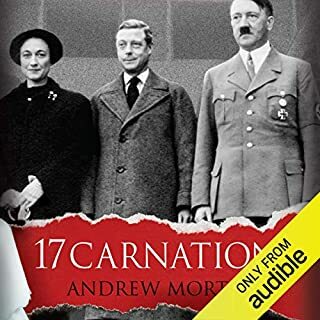 Meticulously researched, 17 Carnations chronicles this entanglement, starting with Hitler's early attempts to matchmake between Edward and a German noblewoman. The Clifton Chronicles is Jeffrey Archer’s most ambitious work in four decades as an international best-selling author. The epic tale of Harry Clifton’s life begins in 1920, with the chilling words, ‘I was told that my father was killed in the war.’ But it will be another 20 years before Harry discovers how his father really died, which will only lead him to question: who was his father? Is he the son of Arthur Clifton, a stevedore who worked in Bristol docks, or the first born son of a scion of West Country society, whose family owns a shipping line? Only Time Will Tell covers the years from 1920 to 1940, and includes a cast of memorable characters that The Times has compared to The Forsyte Saga. Volume One takes us from the ravages of the Great War to the outbreak of the Second World War, when Harry must decide whether to take up a place at Oxford, or join the navy and go to war with Hitler’s Germany. the narration is awesome, great storyline. interesting twists and different characters speaking in the story. Could not put it down. 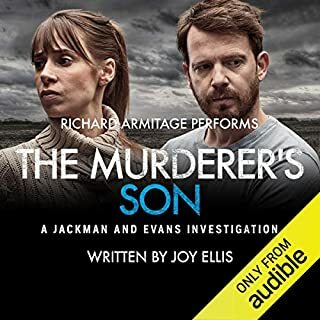 Great story line right from the start & beautifully narrated by Roger Allam & Emilia Fox. Would recommend this book . I started reading this book series as from a recommendation, from my Dad... Hey I thought at least we will have something to talk about... I was so engrossed by this novel that I bought all the currently available books in the series and listened to them back to back... AMAZING!!! Want a great story that really hooks you? If you could sum up Only Time Will Tell: Clifton Chronicles, Book 1 in three words, what would they be? 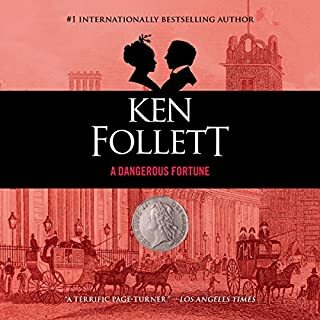 Thoroughly enjoyed this book, all the characters, the storyline, the narrator just a great read had me listening 100% - happily enjoying the story and all of a sudden it finishes at a gripping part - have to quickly download part 2!! Have you listened to any of Roger Allam and Emilia Fox ’s other performances? How does this one compare? The male narrator was a little bland, and some aspects of the story were a bit hard to believe but overall I enjoyed it. Brilliant story. Hooked line and sinker. The narrators are to be highly recommended. I look forward to the next Clayton Chronicles. wish I never heard this book. Would you listen to Only Time Will Tell again? Why? I wish I never read this book so I can experience it again for the first time. If this was the only story I was allowed to listen to for the rest of my life (including the rest of the books) id be extremely happy. The story line, the plot and the endless twists keep you glued to your head phones and you honestly can lose time from this. The cliffhangers are just juicy enough to keep you coming back for more and more but not too juicy as to leave you frustrated. You can form a connection with nearly all the characters and can love and hate with them. Just a captivating book with very satifying story lines that leave you smiling when justice is served to a hated character and leave you crying when something horrible happens to the main characters. What about Roger Allam and Emilia Fox ’s performance did you like? The narrators truly do the book justice by painting the picture and expressions of characters for you. second listen and still loved it!!! 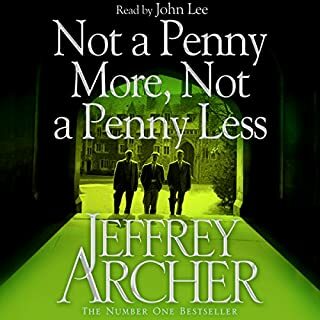 Love Jeffrey Archer and the Clifton series. Second time listening to the first book and it is even better the second time around. This series is a new favourite of mine and I think everyone needs to give it a listen!!! The books just get better and better each time. I do enjoy the performance, both Emilia and aroger are great! However, now that I hace heared books 2-6, I prefer Alex Jennings in his readings of the other books in the series. Archer carries a narrative strongly and this ripping yarn is no exception. However he presents his characters descriptively -- we see their actions and hear their words rather than clearly picture them or understand their (repressed) emotions. This is underscored by allowing different protagonists to take up various threads of the story. His women are somewhat cliched nineteenth / early twentieth heroines as they play their roles as martyr, lover, upholder of what is Strong and True. But that works ok -- and, after all, it is is set in the first half of last century. 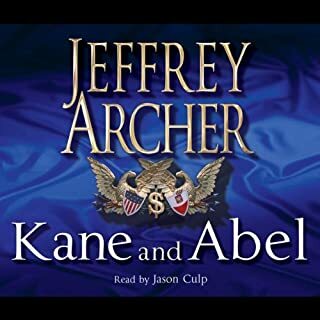 Archer does make us care what happens to his characters and of course he creates compelling twists and turns in the plot. The sequel will be eagerly awaited. The readers were first rate. 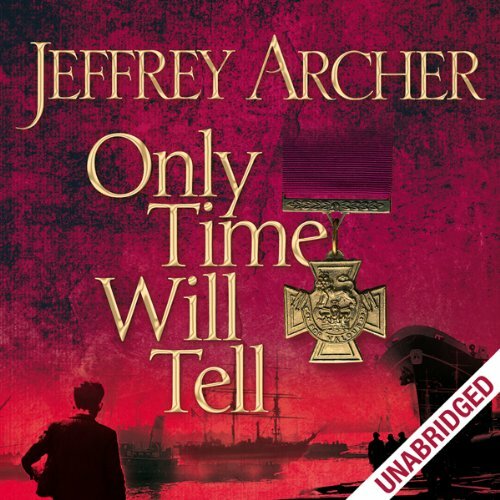 What made the experience of listening to Only Time Will Tell: Clifton Chronicles, Book 1 the most enjoyable? Captivated me from the very beginning and couldn't wait to hear more and more. Excellent. What other book might you compare Only Time Will Tell: Clifton Chronicles, Book 1 to and why? Matthew Flinders Cat. Both great stories and told in a way that keeps not only me but my husband enthralled. 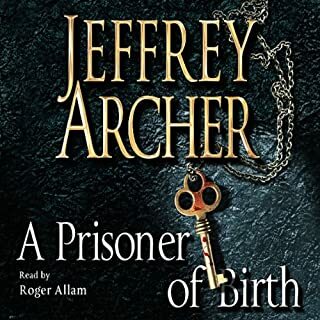 Hadn't read a Jeffrey Archer in years so thrilled to hear a great story. Reviews certainly count. it is always easy to listen to a book when you like the narrator. it makes a great story even better. such is the case here. cant wait to listen to the next one. The potentially banal story is beautifully told. It is a unique experience to read a penny novel told by a master. Beautifully narrated. Good story. Well defined characters. I'm looking forward to sequel of this book! What did you love best about Only Time Will Tell: Clifton Chronicles, Book 1? Have you listened to any of Roger Allam and Emilia Fox ’s other performances before? How does this one compare? These are not individual books! Would you try another book from Jeffrey Archer and/or Roger Allam and Emilia Fox ? After Kain and Abel always - these books are drawn out incomplete sequals, not complete books and as such boring and VERY pricey for a very average drawn out story. NO I have no interest in hearing the rest of it. What aspect of Roger Allam and Emilia Fox ’s performance would you have changed? If you could play editor, what scene or scenes would you have cut from Only Time Will Tell: Clifton Chronicles, Book 1? The whole book needs a 20-40% or more condensation, too drawn out and painful. 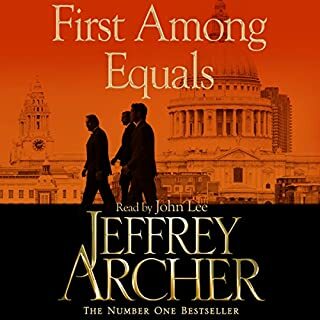 My last Jeffrey Archer! - life is too short to read this. What did you like best about Only Time Will Tell: Clifton Chronicles, Book 1? What did you like least? The story is about an old theme of his in a new coat. Not his follow up from this series. So, so. Little bit dull. Do you think Only Time Will Tell: Clifton Chronicles, Book 1 needs a follow-up book? Why or why not? No. It will be much of the same. Who was the most memorable character of Only Time Will Tell: Clifton Chronicles, Book 1 and why? Sometimes I had the feeling that some parts of the book where missing - like a sentence stopping in the middle (but didn't impede the understanding of the book, and only happened once or twice at the beginning), but this problem would be due to technical issues, and not the story in itself. 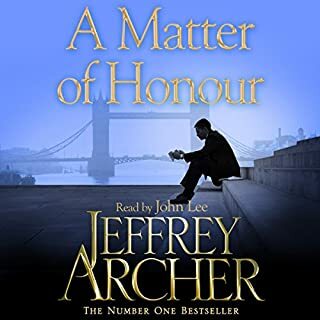 Jeffrey Archer certainly knows how to tell a story that keeps you listening and wanting to know more. It's a bit like a modern fairy story with set-backs and triumphs for the hero. We are told the story through the eyes of the main characters who tell us in turn their view of what happens as Harry grows from boy to manhood in the period from just after the First World War to the outbreak of the Second in 1939. There's quite a bit of period detail of life at this time sprinkled with historical facts that add to narrative. There's a certain old fashioned charm about the book that makes a pleasant change from all the modern detective fiction I've been reading/listening to recently. I can't wait for the next book in this story of Harry Clifton as this book ends on a cliff-hanger. The two readers are very good. Roger Allam has a lovely gravelly voice that is a pleasure to listen to and he's pretty good at different accents. The characters were brilliantly drawn and I loved the way the storytelling switches between the main characters and one sees the story from differing points of view. 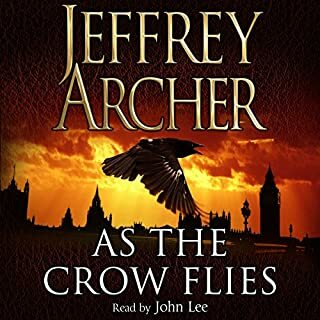 I enjoyed Jeffrey Archer's original books and bought this on the strength of those, however when I found that the story was of a different genre I was initially disappointed - but how wrong I was. I really cared what happened in the lives of the characters, and cannot wait for the existing 'cliff-hanger' to be explained. 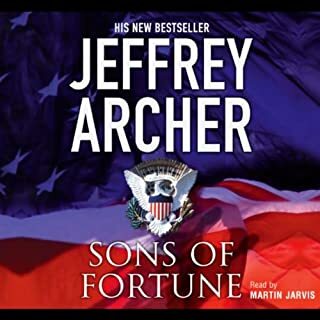 Why is that Jeffrey Archer writes such a good story. He really is one of the few authors that you just don't want to finish reading the book but can't put it down either. Another great book which I thoroughly enjoyed, can't wait for the next two to be published. 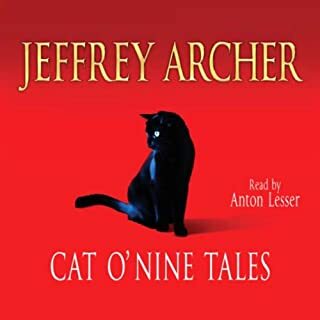 Jeffrey Archer is just a master at storytelling. He shapes the characters brilliantly and I particularly enjoyed the perspectives from each main character's point of view. Some reviewers have expressed disappointment in the ending - clearly more will be revealed in Book 2! Please deliver it via Audible as soon as it's published. Looking forward to next instalment. Where does Only Time Will Tell: Clifton Chronicles, Book 1 rank among all the audiobooks you’ve listened to so far? Very high on my list of favourites. Roger Allam and Emilia Fox. No, I have not. Now a fan, I intend to follow their work. 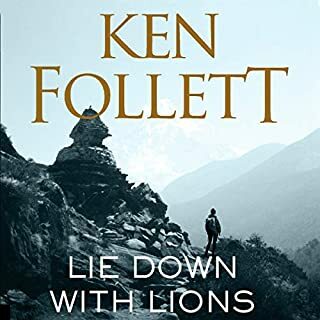 One of the most absorbing, superbly narrated audiobooks I have listened to. Have avoided this author previously as being a bit too mainstream and predictable - only ever seen TV versions of his novels - I am definitely chastened. A really good read with well drawn characters and a twist in the tail. (Have I heard that somewhere before?) Archer may write to a predictable format, but this is a good story. Shall be looking forward to the next episode. I really enjoyed this book, took it with me all around the house, 'til it got to the end...... 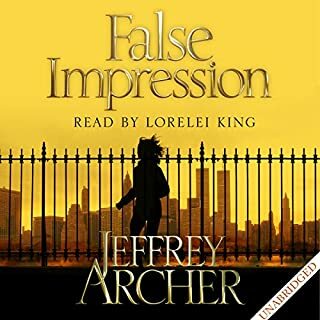 The characters are excellent, Mr Archer has a knack in making his characters very realistic, that you think you actually know these people! I have just got to the end.................. NOOOOOO!!!!! What happens now????? How can you leave us all hanging? Hurry up with book 2 - please do tell me there is a book 2! Hurry up Audible! 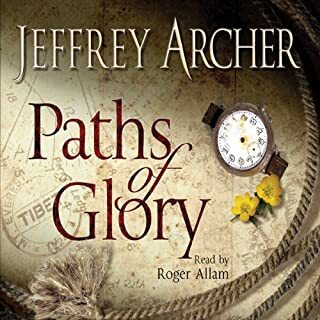 Another fabulous Jeffrey Archer book. Brilliantly read by Roger Allam & Emilia Fox. Roger's voice is so mesmerising. I can't wait for the next Chronicle! The story takes you on a journey viewing the lives of the characters from many angles. Each character's view point either 'fills in the gaps' for the questions you want answered, or leaves you more intrigued. At the start there are several characters who go on to be pivotal to the life that Harry leads. However, just when you think others cannot make a difference, they make an appearance and change your thoughts on what may or may not happen. You often find yourself planning ahead in your mind for what you think is going to happen, only to be thrown a 'curved ball'. A great story that becomes impossible to stop. Is there, Can there be, a sequel? Rather a predictable story line, and as in other of his books some of the story line just a little unbelievable. Never the less I enjoyed the book and look forward to the next part.